A generator is a machine that uses the concept of "electromagnetic induction" to convert mechanical energy into electricity. The machine receives mechanical energy in the form of fuel such as natural gas, gasoline, liquid propane etc. Before I discuss propane generators, allow me to throw some light on propane. Propane is gas and often comes as a by-product of natural gas processing and petroleum refining. It has an idiosyncratic property. It is gas at standard temperature and pressure and it can be compressed to a transportable liquid. If we talk in the language of chemistry, then it is a three-carbon alkane with the molecular formula C3H8. Enough of propane, let's get back to the generators that use propane as fuel. The generator that uses propane as mechanical energy (fuel) to generate electricity is a propane generator. The propane generators have become quite popular due to the strategic advantage that it has over its counterparts. Let's see what propane generator has for us in its kitty. You can expect undisrupted supply even in the times of calamities. You don't have to worry in the times of the emergencies or natural disasters about the fuel backup. Since propane gas is stored in the cylinder so even if the gas pumps aren't working you've enough fuel stored to tackle sudden calamities. Unlike counterparts, it has an infinite shelf-life. So, you can store the fuel in a larger volume without getting worried of its expiry. To add to it, there will not be any contamination so you can expect your generator to be free from carbon deposits even though you're not using your generator for a while. I'll not say that it is a hundred percent clean. But, if we compare propane with other fuels used in the generator, it definitely produces less amount of carbon monoxide(CO) which is adverse effects on human beings as well as plants. It can be easily stored in cylinders or tanks for infinite time. The chances of spillage or waste during fill-ups is almost negligible. On the other hand, the counterpart fuels such as gasoline and diesel have limited shelf-life, and also, availability during the calamities is definitely a question mark, indeed. Propane generators are quite useful in case of emergency and natural calamity because the fuels are easily available. You can also consider using these generators for outdoor activities like camping or RVs. One of the thing that I really appreciate about these propane generators is that they produce less emission as compared to its counterparts. If you're looking for a quieter generator that can add up to your quiet ambiance, then these generators are perhaps the best option available on the market. The maintenance of these generators is quite easy because unlike its counterparts, it doesn't leave deposits like gasoline. You should be aware of the fact that the noise produced by any generator is the result of two factors: the mechanism used by the generator and the condition in which it is being used. You can expect the noise level on a range of 45 to 80 decibels. 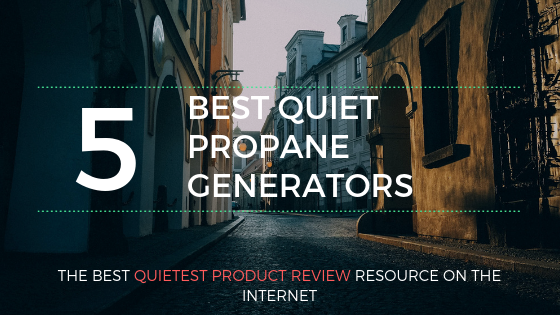 I'm more than happy to introduce you to the quiet propane generators that made to our list. Being honest, "quiet" in itself doesn't have any significance. In fact, it is a relative term, and so I'll answer you in relative terms. It goes without saying that propane generators are quieter as compared to its counterparts. However, the question is only half answered. I know your next question will be, "which propane generator is quietest", right? 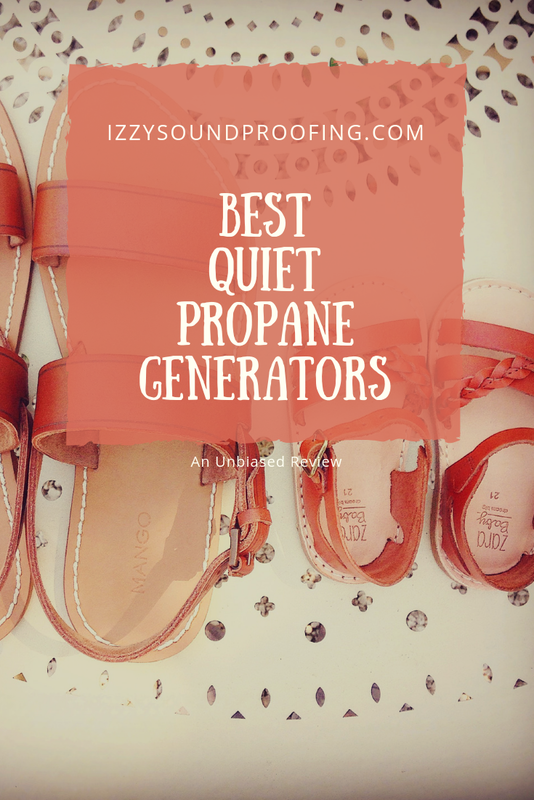 Before I narrow down to the best quietest propane generator available on the market, let me tell you one thing, all the generators that made to our list are quiet. 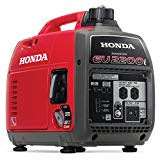 Again, when the question narrows down to the quietest, then I would vouch for none other than Honda EU2200i 2200 Watt Portable Inverter Generator. Wait, I'm not simply saying, in fact, I've got a point to make that will support my statement. In case, you came across any other generator that is quieter than Honda EU2200i 2200 Watt, then let us know in the comment section. The first quiet portable propane generator on our list is Champion 3400-Watt. This quiet generator is a popular offering with almost all the important features that a portable generator should have. The most important thing for any generator after its engine is fuel. So, considering the importance of fuel, the product comes with an option of dual fuel. Though the probability is very less still I would say that in a hypothetical situation when the propane is NOT available, you can use gasoline as an option. The generator is quite smart, and when the fuel drops down a certain recommended level, the low oil shut-off sensor takes the charge, and prevent any compromise with the security. 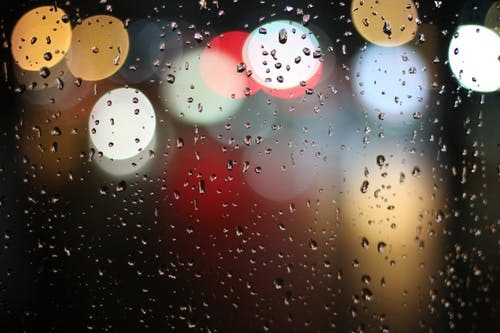 If you live in cold weather, then you'll be aware of the fact that when the temperature drops down, it becomes really difficult to start your vehicle as well as generators. Fortunately, Champion 3400-Watt is an exception. The quiet generator comes with a cold start technology that ensures that whatever be the temperature, the generator starts quickly. On the other hand, the electric start makes it convenient for people of any age group to start the generator at a push of a button. Do your electronic devices got damaged by connecting to the generator? Well, if that is the case, then I've got a piece of good news for you. This generator produces clean power with less than 3% THD. Are you concern about the noise that this portable quiet generator produces? At a distance of 23 feet, you'll hear the noise produced by these quiet generators similar to people conversation. In short, it operates at 59 dBA. For quieter operation, better fuel economy, and extended engine life, I would recommend you to operate the Champion 3400-Watt on economy mode. It goes without saying that this little beast is one of the best quiet propane generators for RVs. As mentioned earlier, this generator is dual fuel, and it gives you an option to easily switch between the fuels (Propane, Gasoline) with the help of the fuel selector dial. You can expect a slight difference between the start and the operating power. The company claims that this quiet propane generator produces 3060 starting watt which drops down to 2790 running watts. At 20% load, you can expect the run time to be around 14 hours using a 20-pound propane tank. As a soundproof consultant, I've to deal with a wide range of client's query. Some are interesting while the rest is simple. I would like to talk about one of my client's query which may benefit at least a hundred others. The client asked me what could be done if the requirement of power is more than the maximum capacity of this propane generator? Well, the company is well aware of such situations, and to deal with it, the generator comes with an optional parallel kit which helps in quick increase of the output by connecting up to two 2800-watts or higher inverters. However, you need to be aware of the fact that the parallel kit can be used only if the other generator is of the same brand. To make this propane generator suitable for the RVs, the parallel kit has a 50-amp RV Ready outlet. Unlike some other propane generator, Champions comes with propane hose. The Champion 3400-Watt Dual Fuel RV Ready Portable Propane generator has an elegant touch panel which helps you to access all the controls quickly and easily. Anyone can easily operate the control panel without a need for professional help. In case there is a problem in the electric start, then you can try the recoil start. On the downside, it doesn't have an option of the key fob that would allow it to start remotely. The company is quite confident about its product, and so it gives a 3-year warranty inclusive of lifetime technical support. Last but not least, this quiet propane generator is highly portable and can be easily moved between the places. Ask in the comment section, I'll be more than happy to assist you. As a soundproof consultant, I got an opportunity to try different quiet propane generators, and trust me, I felt Honda EU2200i be superlative. Definitely, the brand stands for its name. The use of Honda EU2200i is very diversified. You can expect this quiet propane generator to perform equally well when put used for work, home, or play. capability to deliver 10% more power which has definitely a huge success in itself. It goes without saying that the Honda EU2200i is the most popular portable model for the price. The USP of this quite propane generator is its heart- Honda GXR120 engine. Are you looking for a portable propane generator for camping? Well, undoubtedly, Honda EU2200i can serve your purpose. How quiet is Honda EU2200i? In short, it is quieter than the normal human conversation. The noise produced by this generator falls in the range of 48 to 57 dBA. Such a low operating noise makes it the top contender for camping and supplemental RV power. Similar to the last propane generator, two Honda EU2200i can be paralleled with the help of a cord to achieve power up to 4400 watts. The company claims to provide clean power with the help of Honda inverter technology. 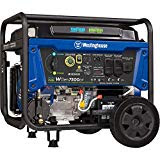 Without any second thought, you can connect household appliances and other electronic devices with this portable propane generator. The energy is as reliable as the power you get from your home outlet. To match the expectation of the consumers, the company has enhanced the output power to 1800 watt and the peak power as 2200 watt. Whether you're planning to buy this generator for camping or RVs, you can expect it to run for 3.4 hours at 1800 watt. If the load is 25%, then it can run for almost 8 hours. Anyone and everyone can easily operate this generator with the help of color-coded instant startup points. The company gives you a three-year warranty for both home and commercial uses. As per your preference, you can select either fuel or propane for its operation. However, if you're choosing propane, then you'll have to hook up the propane tank with an adapter or a tri-fuel conversion kit. The exclusive Eco-Throttle system makes it an ideal choice for overnight power. Unlike other portable generators, you'll not face the problem of stale fuel. The best way to deal with the problems like stale fuel is to exploit the fuel shut off valve feature which allows the engine to run with fuel supply off. The cleaning of this propane generator is simple and easy. All you need to do is to use the large spout and oil drain gutter effectively. Again, as compared to many other quiet propane generators available on the market, this one remains cool even after running for a long duration because of the presence of the effective ventilation that improves the airflow. This dual fuel CARB compliant generator is one of its kind. Using Propane as a fuel you can achieve a peak watts of 8550 and a constant power supply of 6750 watts. The WGen7500DF is definitely a great generator to take home. To enhance the user-friendly feature, it is inculcated with Remote Key Fob & Electric Push Button. The control panels are easy to use and consist of two ground fault circuit interceptor. Adding to the ease of operation, the remote start key fob gives you the feasibility to operate from a remote location. The Westinghouse WGen7500DF Dual Fuel is a complete package that provides you with everything that you need to get started right out of the box. You can expect 12V Battery Charger, Oil, Funnel, Tool Kit, and even user manual to help you with the entire process. It goes without saying that the heart of this propane portable generator is a 4-stroke OHV engine. The engine comes with a digital hour meter, and also has a sensor that performs the automatic low oil shutdown. The manufacturers are more than confident about the high-performance of their product and so they come with a 3-year warranty. This portable generator is EPA, CARB, and CSA compliant. You don't need any technical expertise to start this propane power generator. In fact, you just need to push the start button and you're done. This is one of its kind of propane generators for homes that can be started from a distance of up to 109 yards away, isn't it amazing? 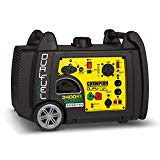 Unlike its counterparts, this quiet portable propane generator gives you feasibility to switch from one source of fuel(gasoline) to other(propane) and vice-versa while it is on operating mode. It goes with a built-in fuel gauge which makes WGen7500DF easy to use and maintain. These portable generators come under the category of small propane generators for RVs. The built-in foam grip handle and never-flat wheels make this propane generator highly portable. A unique blend of tradition & technology. It goes without saying that the Yamaha EF2000iSV2 is one of the sought brands on the market. This portable inverter generator is user-friendly & highly portable. You can expect the output AC current in the range 13.3/16.7 amps at 120V. Though this portable propane inverter generator is rated 1600 watt AC output still you can expect the maximum AC output to be 2000 watt. The USP of Yamaha EF2000iSv2 is the quietness that it comes with. The noise it creates is not more than 52 dBA at 1/4 load. This CARB compliant inverter generator comes with Pulse Width Modulation(PWM) control. The PWM plays a crucial role in voltage as well as frequency modulation and thus helping you as clean as public utility power. The good news about this Yamaha generator is that it comes with Smart Throttle technology. This technology NOT only varies engine speed based on loads but also improves fuel economy and reduces noise. You can expect this portable beast to run up to 10 hours at 25% load on a tank of gas. In case, you're looking for more powers, then you can connect two Yamaha generators of the same specifications. The maximum power that two similar generators coupled in parallel can deliver is up to 30 amps. You can even connect this model with the earlier model Yamaha EF2000iS. Nevertheless, you'll need a twin tech cable to connect the two generators. As mentioned earlier also, this propane generator performs its operation very quietly. The sophisticated muffler comes with USFS-approved spark arrestor. In the layman language, the generator has achieved the epitome of the quietness. In short, you can have a conversation right next to this generator. I really love the rubber vibration isolation feet as it not only smoothes operation but also reduces noise. At 25% loading, the noise produced by this portable generator falls in the range of 51.5 dBA and 61 dBA. To make the generator easy to start, it comes with an auto-decompression system. On the other hand, the auto-warm increases engine speed during cold starts to handle high power demand appliances right away, interesting, isn't it? To prevent costly repairs and engine damage by low oils, this quiet propane generator comes with an oil watching warning system. Nonetheless, you can also prevent the generator damage due to overload with the help of electrical overload breaker. It comes with two 120V AC outlet and one DC outlet -8 A 12V outlet for charging batteries. I hope you would have definitely got a clear picture of its functioning. 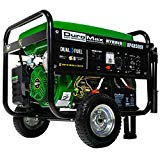 The Duromax XP4850EH comes under the category of "home generators propane". In short, a complete solution to all your home power requirements. The USP of the is portable generator is 7 HP air cooled DuroMax OHV engine. Well, the rated output of the engine is 3,850 watts and the maximum output is 4,850 watts, and of course, I'm talking about the AC outputs. It has three outlets similar to standard household plug. You can estimate the quality of this generator by the fact that EPA has approved it to use in National Parks. Similar to the other quiet propane generators that made to the list, it also comes with a low-oil shutoff sensor. This dual fuel propane generator can easily switch between the source of the fuels. You can estimate its power generation capability from the fact that it can overhead an air conditioner in an RV to basic house power. Even a non-technical person can easily start this generator. You'll need the same amount of effort to start this generator as you'll need to start your car or bike. In terms of quietness, you can expect it to produce a noise of up to 69dBA. This generator comes with built-in handles and solid-fill tires making it suitable for any kind of terrain. Keep the job sites as well as camping sites into mind, this propane based little beast comes with a built-in noise reducing muffler. To enhance safety, the Muffler has a built-in Spark Arrestor. How good are Duromax generators? Leave your opinion and view in the comment section. Furthermore, I'll walk you through some of the important parameters that you to consider as well as evaluated for a smart buy. It goes without saying that power output is one of the important parameters that anyone needs to consider while buying a quiet propane generator. The higher the output power the more the number of devices you can connect. Whether it's your home, job sites, camping etc, you must have a minimum requirement of power. Failing to buy a generator that can serve the minimum requirement of power can be devastating. As a thumb rule, calculate the number of watts that you need for your daily requirements, and then ONLY take a final call on the propane generators. Going for a quiet generator can be a great decision keeping in mind your health, environment, and neighbors. I'm not sure about the 100% noiseless generator if any present on this planet. Nonetheless, there are loads and loads of quiet generators that produce noise in the range of 50-65 dBA. In the layman language, you can consider the noise equal to a human conversation. It always a great decision to buy a generator that is quieter and easy to operate. There are different types of generators available on the market. Some are targetted at specific problems while rest serves as an allrounder. Depending upon your requirement and budget, you can select the best quiet propane generator. Again, portability is a relative term. It totally depends on you and your requirement. For example, if you're looking for a quiet generator for RVs or Camping, then you'll definitely need a portable one. Nonetheless, you may not need a highly portable generator in case, you wanna solve your home blackout problem. At the same time, you'll definitely look for a generator that generates enough power to light your home. Generators that have low run time will consume less fuel and vice-versa. It's again a relative term and solely depends on an individual requirement. Definitely, a crucial parameter that can influence the decision. I would not recommend you to go out of your budget until and unless the product is superlative. However, most of the quiet propane generators that made to our list are budget-friendly and effective. On the contrary, a cheap generator will not serve your purpose. 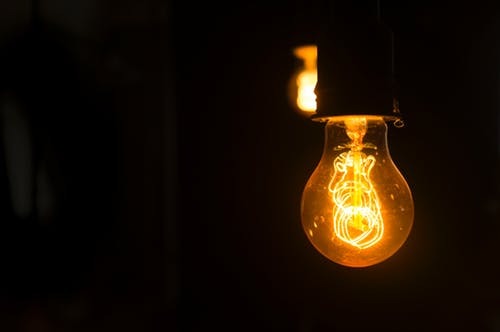 In the long run, you may end up spending twice or thrice on cheap generator maintenance as compared to a high-end generator which is a one-time investment with almost negligible maintenance cost. I hope this piece of information will definitely help you in making an informed decision. We've tried to bundle all the important information together. Without any doubt, the aforementioned quiet generators are some of the best portable propane generators available on the market. As an end customer, you may have to evaluate lots of parameters to take the final call. Secondly, you should also evaluate the uses. Last but not least, a quiet propane generator is portable, durable, safe, and generates enough power to suffice your daily need. I know a lot of my readers look for my recommendation, right? from a couple of years, and it is doing perfectly fine. Are you looking for more product reviews? Well, check out the below links.